UPDATED: Mon., July 31, 2017, 12:12 p.m.
HELENA – The U.S. government lifted protections for grizzly bears in the Yellowstone region on Monday, though it will be up to the courts to decide whether the revered and fearsome icon of the West stays off the threatened species list. More than a month after announcing grizzlies in and around Yellowstone National Park are no longer threatened, the U.S. Fish and Wildlife Service officially handed over management of the approximately 700 bears living across 19,000 square miles (49,210 sq. kilometers) in Montana, Idaho and Wyoming to wildlife officials in those states. The ruling does not apply to the approximately 1,000 bears living farther north in the Northern Continental Divide area that includes Glacier National Park and the Bob Marshall Wilderness. Not much is expected to immediately change as a result of the handover. State wildlife officials have been working for decades to protect the bears as their population grows and their range expands farther away from the oldest U.S. national park, and they say they will continue to do so. Federal wildlife officials will also monitor the states for five years and re-impose protections if the population drops below 500 bears. The bears were determined to be a threatened species in 1975 after hunting and trapping in the 1800s and early 1900s nearly wiped them out. The strict no-kill policy and habitat preservation that came with being on the threatened species list helped their numbers recover in the years since. Now, grizzly bears can be hunted again under the management plans submitted by Montana, Idaho and Wyoming. None of the three states will hold a hunting season this year, and wildlife officials say any hunts in the future would be held only after closely examining the effects on the population. “There are a lot of safeguards in the conservation strategy to ensure the grizzly population will remain,” said Kevin Frey, a wildlife management specialist for the Montana Department of Fish, Wildlife and Parks. Hunting grizzlies is strongly opposed by wildlife advocates and Native American tribes who worry the bears’ recovery will nosedive without U.S. government oversight. Multiple organizations and individuals have filed notice that they will sue to place grizzly bears back on the threatened species list. It’s happened once before. In 2009, a federal judge overturned the Fish and Wildlife Service’s decision two years earlier to lift protections after the Yellowstone bears’ numbers rose above 600. The 9th U.S. Circuit Court of Appeals upheld the judge’s ruling in 2011. The ruling then was that the bears still needed protection because of the decline of the whitebark pine trees – a key food source. Federal wildlife officials say that the bears have now adjusted to a more meat-based diet, and the whitebark pine nuts are no longer vital for their survival. Wildlife advocates say that change in diet brings a different kind of threat. Encounters with ranchers protecting livestock and hunters competing for elk and deer have become common as the bears’ population has swelled and they wander back into areas where they haven’t been seen in a century. 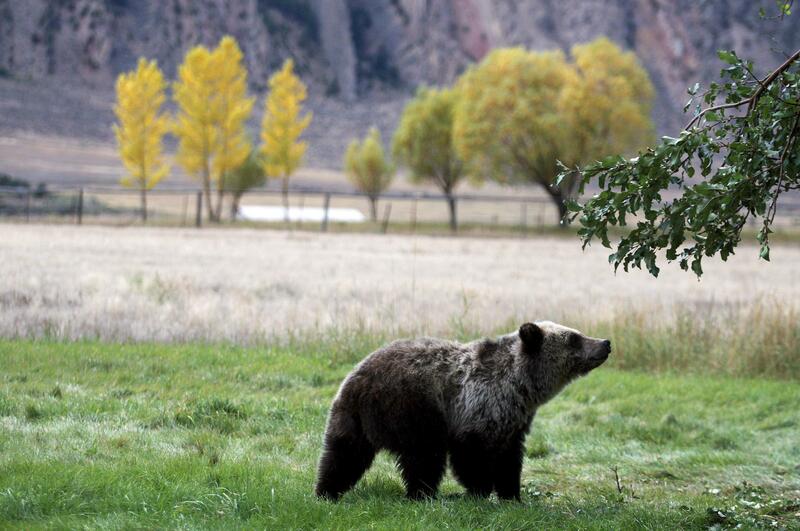 Yellowstone National Park Superintendent Dan Wenk said the park supports the removal of grizzlies from the threatened species list but wants to make sure the population remains strong so visitors will continue having opportunities to see the animals. Hunting still won’t be allowed within the park. After gray wolves were taken off the endangered species list, Yellowstone unsuccessfully sought the creation of a no-kill zone, or buffer zone, around the park. State officials rejected it. A no-kill zone won’t be pursued for grizzlies, Wenk said. Instead, park officials want to be involved with discussions that lead up to decisions by the three states on how to structure their bear hunts – and focus on areas where bears are more likely to have problems with humans and livestock. “We have never asked for a buffer for bears. But what we have asked for and what is always part of our conversation is to concentrate the hunts in areas of conflict,” he said. Published: July 31, 2017, 9:08 a.m. Updated: July 31, 2017, 12:12 p.m.